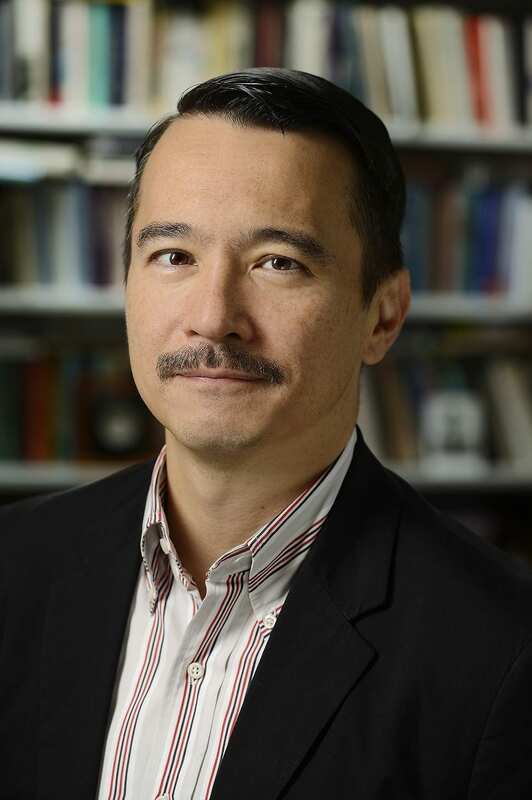 Douglas Mao received his PhD from Yale University in 1993 and taught in the English departments at Princeton, Harvard, and Cornell before coming to Johns Hopkins in 2007. 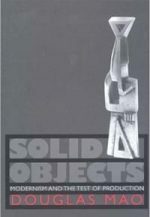 A specialist in modernist fiction and poetry, he is the author of Solid Objects: Modernism and the Test of Production (Princeton, 1998) and Fateful Beauty: Aesthetic Environments, Juvenile Development, and Literature 1860-1960 (Princeton, 2008). He is also the co-editor, with Rebecca Walkowitz, of Bad Modernisms (Duke, 2006) and the editor of the Longman Cultural Edition of E. M. Forster's Howards End (2009). Professor Mao has been president of the Modernist Studies Association and held a Guggenheim Foundation Fellowship. He currently serves as Series Editor of Hopkins Studies in Modernism (from the Johns Hopkins University Press), as Senior Editor of ELH, and as a member of the editorial boards of Textual Practice, Modernism/modernity, English: the Journal of the English Association, and The Journal of Wyndham Lewis Studies. His courses have treated a wide range of topics in late 19th- and early 20th-century literature, from gender in modern writing to the aftermath of literary naturalism, from narratives of utopia to social organization in poetic texts. “The Naughtiness of the Avant-Garde: Donald Evans, Claire Marie, and Tender Buttons.” Forthcoming in Decadence in the Age of Modernism, edited by Kate Hext and Alex Murray. Johns Hopkins University Press. “On Auratic and Sentimental Objects: High and Low Modernism in Citizen Kane.” Forthcoming in A Modernist Cinema, edited by Scott Klein and Michael Valdez Moses. Oxford University Press. “Transcolonial Bildung: George Lamming, Social Death, and Actually Existing Modernism.” Modernist Cultures 13.1 (2018): 33-54. “Our Last September: Climate Change in Modernist Time.” The Contemporaneity of Modernism: Literature, Media, Culture, edited by Michael D’Arcy and Mathias Nilges. New York: Routledge, 2016. 31-48. Introduction to “Special Section: Camp Modernism Forum.” With Marsha Bryant. Modernism/modernity 23.1 (2016): 1-4. “Rebecca West and the Origins of A Room of One’s Own.” Modernist Cultures 9.2 (2014): 186-212. “Woolf, T. E. Hulme, William James, and the Unseen.” Le Tour Critique 2 (2013): 391-406. Published simultaneously as “Woolf, T. E. Hulme, William James, et l’Invisible.” Le Tour Critique 2 (2013): 407-24. “Blasting and Disappearing.” (On Wyndham Lewis, celebrity culture, and war photography.) Vorticism: New Perspectives, edited by Scott Klein and Mark Antliff. Oxford: Oxford University Press, 2013. 235-55. “The Point of It.” (On E. M. Forster and utopia.) Utopianism, Modernism, and Literature in the Twentieth Century, edited by Alice Reeve-Tucker and Nathan Waddell. Houndmills, U.K.: Palgrave, 2013. 19-38. “The Unseen Side of Things: Eliot and Stevens.” Utopian Spaces of Modernism: British Literature and Culture, 1885-1945, edited by Rosalyn Gregory and Benjamin Kohlmann. Houndmills, U.K.: Palgrave, 2012. 194-213. “Arcadian Ithaca.” Joyce, Benjamin, and Magical Urbanism, edited by Maurizia Boscagli and Enda Duffy. European Joyce Studies 21. New York: Rodopi, 2011. 30-58. “The Lack of Repose.” (On aestheticism and quietism.) Common Knowledge 15.3 (2009): 412-37. (Ed.) 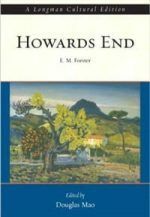 Howards End, by E. M. Forster. A Longman Cultural Edition. New York: Longman, 2009. “The Changing Profession: The New Modernist Studies.” (With Rebecca Walkowitz.) PMLA 123 (2008): 737-48. 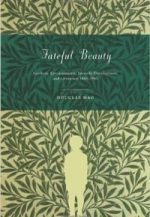 Fateful Beauty: Aesthetic Environments, Juvenile Development, and Literature, 1860-1960. Princeton: Princeton University Press, 2008. (Ed.) Bad Modernisms. Co-edited with Rebecca Walkowitz. Durham: Duke University Press, 2006. 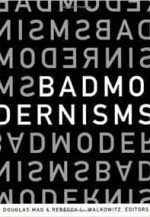 Introduction to Bad Modernisms. (With Rebecca Walkowitz.) Bad Modernisms. 1-17. “A Shaman in Common: Lewis, Auden, and the Queerness of Liberalism.” Bad Modernisms. 206-37. “Modern American Literary Criticism.” The Cambridge Companion to American Modernism, edited by Walter Kalaidjian. Cambridge: Cambridge University Press, 2005. 284-307. “Privative Synecdoches.” (On Stevens’s “In a Bad Time.”) The Wallace Stevens Journal 29 (2005): 56-61. “Auden and Son: Environment, Evolution, Exhibition.” Paideuma 32 (2003): 301-49. “The Labor Theory of Beauty: Aesthetic Subjects, Blind Justice.” Aesthetic Subjects, edited by Pamela R. Matthews and David McWhirter. Minneapolis: University of Minnesota Press, 2003. 190-230. “How to Do Things with Modernism.” (On Pound, Stevens, and Marjorie Perloff.) The Wallace Stevens Journal 26 (2002): 160-80. “W. H. Auden” and “Auden: Musée des Beaux Arts.” Encyclopedia of American Poetry: The Twentieth Century, edited by Eric Haralson. Chicago: Fitzroy Dearborn, 2001. 35-39 and 42-43. “Culture Clubs.” (Review-essay.) Modernism/modernity 8 (2001): 159-72. “Wallace Stevens for the Millennium: The Spectacle of Enjoyment.” The Southwest Review 85.1 (2000): 10-33. “The New Critics and the Text-Object.” ELH 63 (1996): 227-54. “Chill Winds, Cool Breezes: Jameson in the Nineties.” (Review-essay.) Contemporary Literature 37 (1996): 155-175. “The Genius of the Sea: Coleridge’s Ancient Mariner at Stevens’s Key West.” Texas Studies in Literature and Language 36 (1994): 75-98.